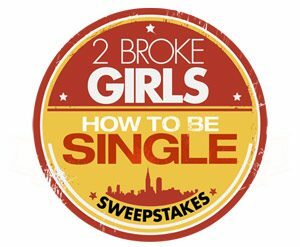 By visiting 2BrokeGirlsWeeknights.com to enter the “2 Broke Girls How To Be Single Sweepstakes“, you could win a VIP trip for 2 to New York City for the World Premiere of “How To Be Single“. Watch 2 Broke Girls five nights a week between January 14th and January 27th for the 2 Broke Girls Word Of The Day then go to 2BrokeGirlsWeeknights.com to enter. During the Promotion Period, watch 2 Broke Girls on weekdays and look for a new Word Of The Day that will be revealed during each show. 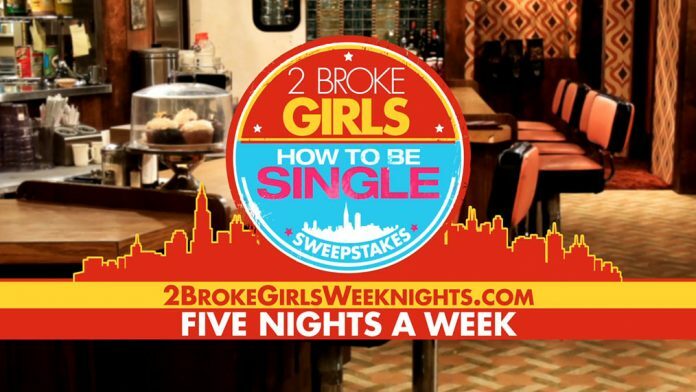 Then, visit 2BrokeGirlsWeeknights.com and register for the Sweepstakes by filling out the entry form as directed. The 2 Broke Girls How To Be Single Sweepstakes is open to legal residents of the 50 United States, the District of Columbia, and Puerto Rico. Must be at least 18 years of age or the age of majority in your state of residence (whichever is older) to enter. Grand Prize winner will receive a trip for two to New York, NY including tickets to the premiere screening of How To Be Single. Daily Winners will receive a How To Be Single gift basket. Now is your chance to win. Good luck.